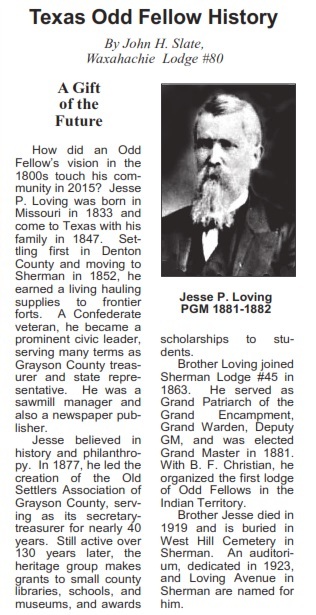 In politics Mr. Loving gives an unswerving allegiance to the democratic party and since November 1863 he has been a member of Sherman Lodge No 45 Independent Order of Odd Fellows He has filled nearly all the positions in the subordinate lodge and encampment and has also served as grand patriarch of the Grand Encampment of Texas He was grand master of the state and he assisted Grand Master BF Christian in organizing the first lodge of Odd Fellows in the Indian Territory December 20 1859 in Grayson County Texas Mr. Loving married Miss Lydia E Bomar a daughter of Spencer E Bomar a blacksmith who removed from Tennessee to Sherman in 1853. 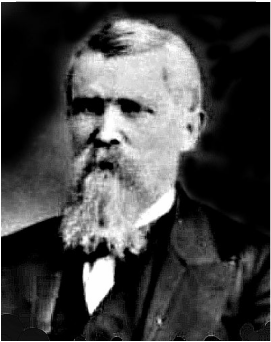 William Bomar brother of Mrs. Loving was likewise a blacksmith by trade and he married Miss Angeline Chaffin he died in There were nine children born to Mr. and Mrs. Loving. 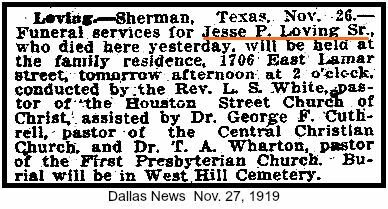 In addition to raising nine children of their own Mr. and Mrs. Loving also reared Jesse George and Royce Loving after their mother’s death. Although in her seventy seventh year, Mrs. Loving is as amiable and capable as a woman of half her age. She is possessed of a most gracious personality and is dearly beloved by all who know her. The married life of the Lovings has been ideal in all respects. They have lived in harmony for fifty six years and have never had a quarrel. 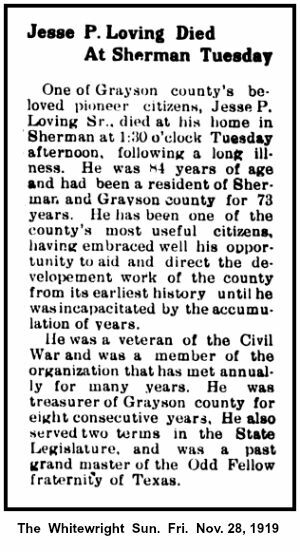 Mr. Loving is in his eightieth year and he and his wife number their loyal friends by the score. It is hard to find a more popular family and congenial home in any section than that of the Lovings. 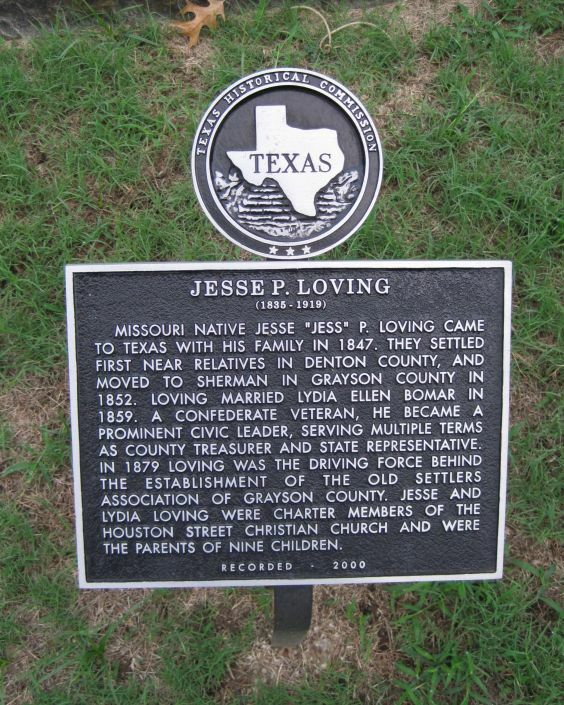 Located at West Hill Cemetery in Sherman, Texas.